Ever since Reyes Farrow escaped from a hell dimension in which Charley Davidson accidentally trapped him, the son of Satan has been brimstone-bent on destroying the world his heavenly Brother created. His volatile tendencies have put Charley in a bit of a pickle. But that's not the only briny vegetable on her plate. While trying to domesticate the feral being that used to be her husband, she also has to deal with her everyday life of annoying all manner of beings -- some corporeal, some not so much -- as she struggles to right the wrongs of society. Only this time she's not uncovering a murder. This time she's covering one up. Add to that her new occupation of keeping a startup PI venture -- the indomitable mystery-solving team of Amber Kowalski and Quentin Rutherford -- out of trouble and dealing with the Vatican's inquiries into her beloved daughter, and Charley is on the brink of throwing in the towel and becoming a professional shopper. Or possibly a live mannequin. But when someone starts attacking humans who are sensitive to the supernatural world, Charley knows it's time to let loose her razor sharp claws. Then again, her number one suspect is the dark entity she's loved for centuries. So the question becomes: Can she tame the unruly beast before it destroys everything she's worked so hard to protect? 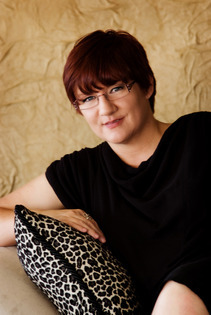 NYTimes and USA Today Bestselling Author Darynda Jones has won numerous awards for her work, including a prestigious RITA, a Golden Heart, and a Daphne du Maurier, and her books have been translated into over 18 languages. As a born storyteller, Darynda grew up spinning tales of dashing damsels and heroes in distress for any unfortunate soul who happened by, and she is ever so grateful for the opportunity to carry on that legacy. She currently has two series with St. Martin's Press: The Charley Davidson Series and the Darklight Trilogy. She lives in the Land of Enchantment, also known as New Mexico, with her husband and two beautiful sons, the Mighty, Mighty Jones Boys.